You can be the star this time with these Blue Star Crazy Lenses by ColourVue. 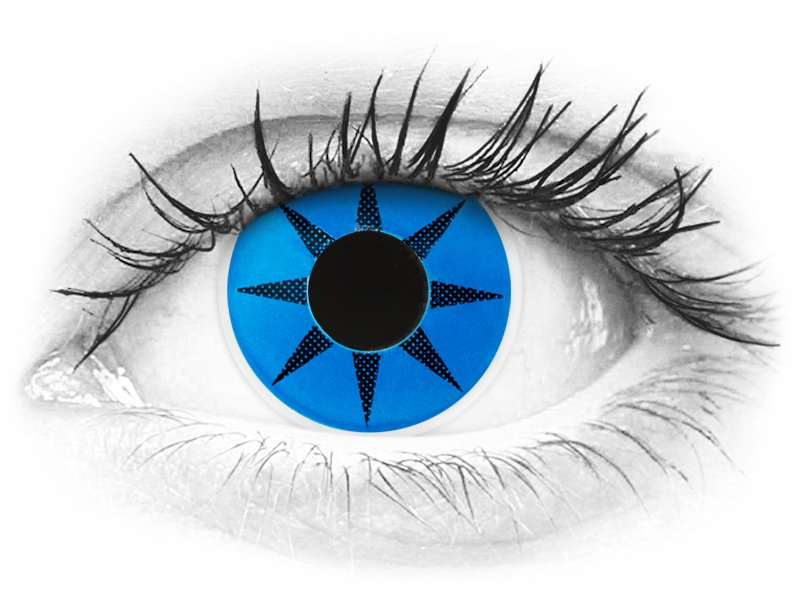 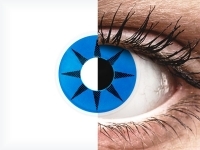 Not only do these lenses change your eye colour to sky blue, they also add a black star detail around the pupil. 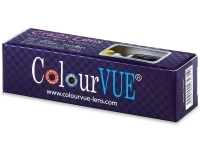 Use these lenses to complement any costume or outfit and you'll defnitely be the one that's shining at every party! 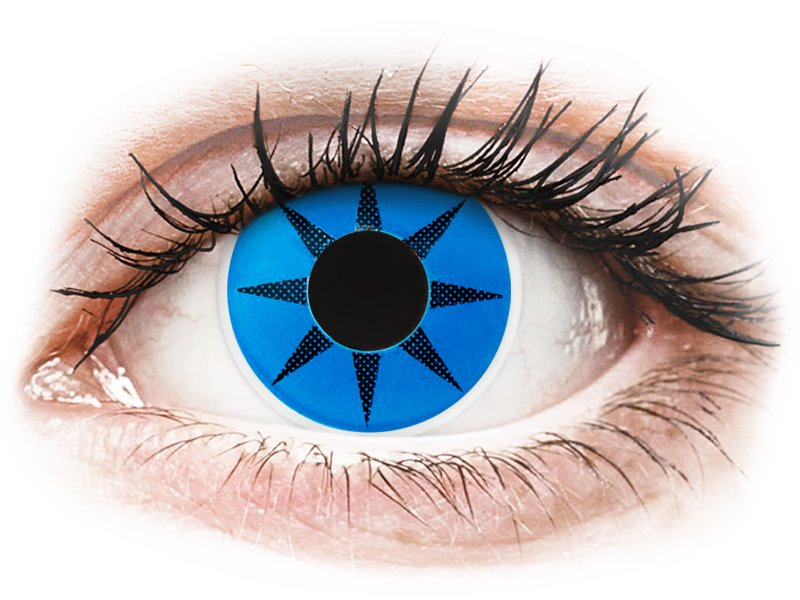 These colourful and playful contact lenses are manufactured by MaxVue Vision and are a staple for all those searching for something fun to wear for Halloween, cosplay, at a party, etc. 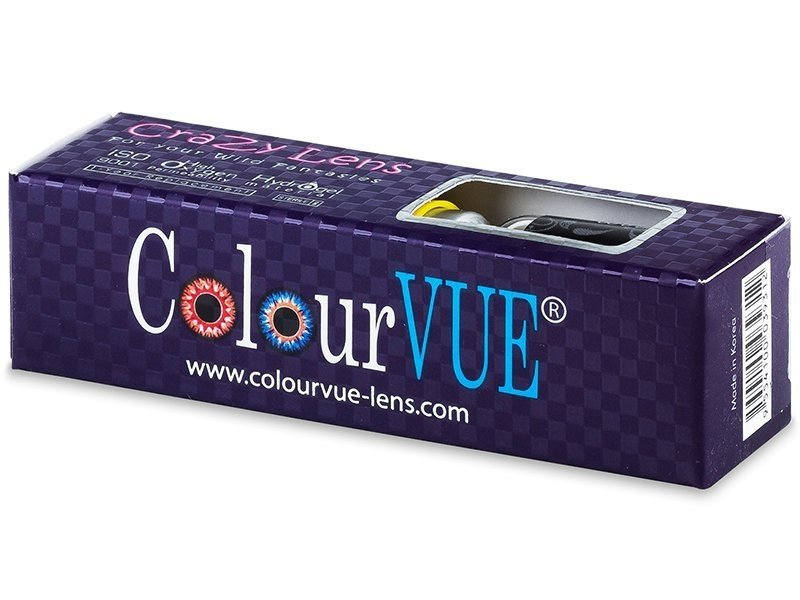 ColourVUE Crazy Lens are annual cosmetic coloured lenses without any dioptric correction capable of covering your natural eye colour with a unique pattern or colour. After first use, these lenses will be usable for up to 365 days, after which they need to be disposed of. However, in order to guarantee comfortable wear, it’s important to properly and consistently care for these lenses during this extended period of use. Clean and store the lenses using a high-quality multi-purpose contact lens solution. 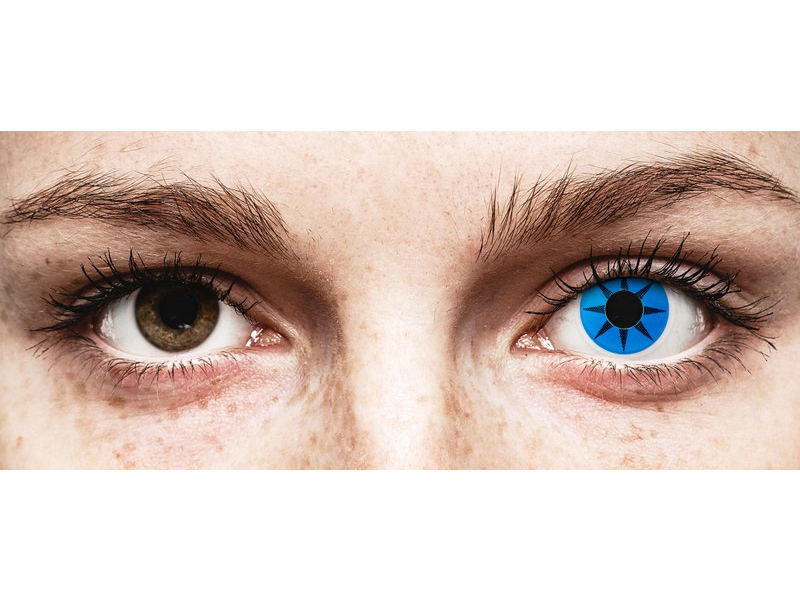 (Don't use peroxide!) Don’ leave the lenses in the same solution for longer than 5 days. Every 5 days, repeat the regular cleaning process and store the lenses in fresh solution. 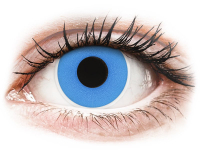 And don’t forget to replace the lens case, in which you’re keeping these lenses, every three months. If these lenses are not properly cared for, there is no guarantee they will remain comfortable.